The access to some library electronic resources could be affected for several months. If you are experiencing problems accessing your journal(s), please email the library at usn.nmcsd-library@mail.mil and we will email you your article(s). 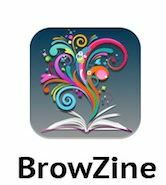 allows you to browse, read and monitor scholarly journals on your mobile devices or on your computer. 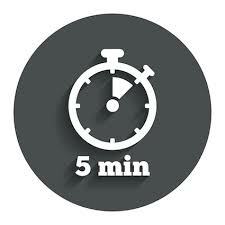 5MinuteConsult.com provides you with the targeted diagnostic information that you need in less than 30 seconds. Evidence-based and regularly updated, all information is written and approved by a range of healthcare professionals. Complete with procedural videos, patient handouts, extensive evidence-based disease, condition and drug information, it is the fast and effective consulting reference. You can earn CME/CE credits while you search and you also have the ability to personalize patient handout materials. You need to self-register for a free personal account to be able to use these features. 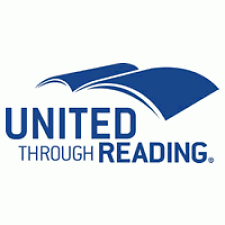 United Through Reading (UTR) is a program where service members can record themselves reading books to a child in their life. The library at Naval Medical Center San Diego (NMCSD) now offers a space for UTR recordings. Enjoy a private room to record your stories with a provided laptop and software. Create a DVD or download a file that you can pass on to your loved ones. UTR has provided an assortment of books in English and Spanish for you to choose from. The library has a large collection of other books you can use or bring a family favorite from your own collection. Library Classes & Consultations that Fit Your Schedule! Do you want to learn more about a particular library resource, how to conduct a thorough literature search in research databases, or pick up some helpful tips on how to manage your citations? Contact the Library at usn.nmcsd-library@mail.mil or call us at 619-532-7954 to schedule a class or a consultation that fits your schedule. To register for an EZ Remote Access Account you must be NMCSD staff. Please click on the library email and provide the information requested or fill out the application below and email it to the library. NMCSD staff with hospital badges (vice CACs) are allowed after-hours access to the Library for mission-related purposes by request to the Officer of the Day. NMCSD staff who regularly need after-hours entry may apply in the Library for a keyless access card. Disclaimer: The appearance of external hyperlinks does not constitute endorsement by the United States Department of Defense of the linked web sites, or the information, products, or services contained therein. For other than authorized activities such as military exchanges and Morale, Welfare and Recreation (MWR) sites,the United States Department of Defense does not exercise any editorial control over the information you may find at these locations. All links are provided consistent with the mission of the NMCSD Library Services.